Peppermint, Mentha piperita – Known to help with easing tension headaches, muscular aches and pains, and alertness. Can assist with relief of nausea, sinusitis, flatulence and vertigo. Not only is peppermint one of the oldest European herbs used for medicinal purposes, other historical accounts date its use to ancient Chinese and Japanese folk medicine. The health benefits of peppermint oil have been documented back to 1,000 BC and have been found in several Egyptian pyramids. Peppermint oil, due to its antiseptic properties, is very useful in dental care. It helps eliminate bad breath and can help teeth and gums fight off hazardous germs. Its cooling and anti-inflammatory properties are part of the reason why it is so successful at relieving headache symptoms as well. Like many other essential oils, peppermint has been known to provide relief from stress, depression, and mental exhaustion due to its refreshing nature. It can also be effective against anxiety and restlessness. Menthol, which is abundantly present in peppermint oil, helps to clear the respiratory tract. It is also an effective expectorant and therefore helps provide instantaneous, though temporary, relief for numerous respiratory problems including nasal congestion, sinusitis, bronchitis, cold, and cough. As a result, it is used in numerous cold rubs and balms. 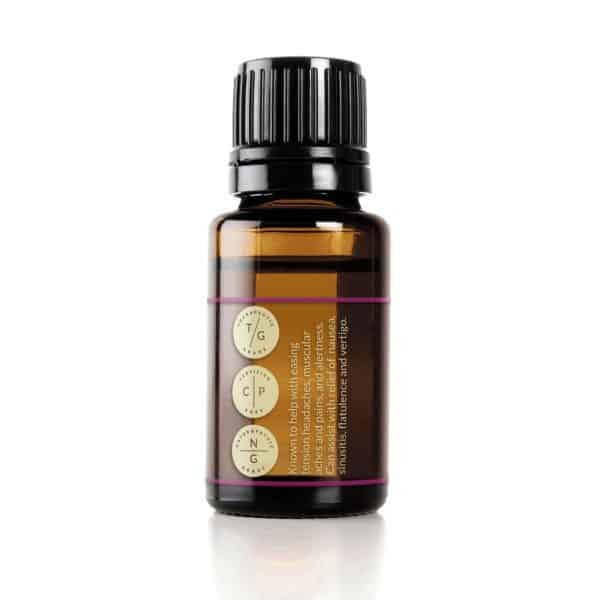 Peppermint oil blends well with Eucalyptus, Rosemary, Lemon, Lavender, Tea Tree, Marjoram and Spearmint.